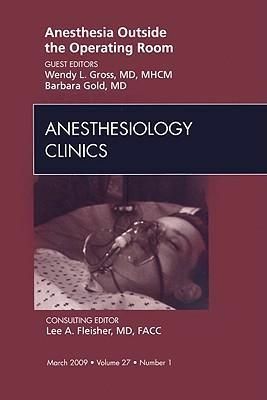 This issue of the Anesthesiology Clinics provides essential updates for the anesthesiologist who performs procedures outside the operating room. All-important financial considerations are covered, including Medicare payments; and full costing versus differential costing, or "smoothing.Ã¯Â¿Â½ Practice parameters are covered. Each specialty is addressed from the point of view of both a specialist and an anesthesiologist, including cardiology (EP and catheterization), gastroenterology (Endoscopy), and radiology (interventional). Transitional priorities are also covered, including consultation, pre-procedure patient assessment, patient safety, monitoring, and new ICU practices.